Catering is emotive and needs to be ring-fenced from other FM services as part of a wider FM strategy, according to a panel of leading experts from the food and facilities management industry. The panel, which included high-profile consultants operating in the workplace, healthcare, education, and leisure sectors, also concluded that catering plays a huge role in influencing productivity and should be an integral part of any company’s wellbeing and FM strategy. 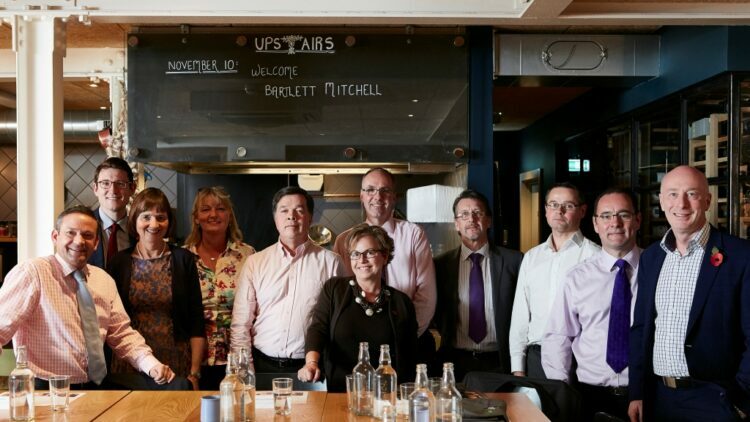 Hosted by bartlett mitchell, one of the UK’s leading independent caterers, the roundtable discussion aimed to identify key issues facing catering and FM businesses over the coming year. Chaired by Ian Thomas, CEO at bartlett mitchell, the panel also discussed how catering can support recruitment and retention, enhance brand value and facilitate better collaboration in the workplace. He added: “Businesses are also very aware of how brand perception can impact performance and productivity. This is why we are seeing so much focus on creating and developing collaborative and engaging environments. Employers know that prospective employees are looking for more than just a salary. The meeting was held at Trinity in Clapham, the recently Michelin-starred restaurant owned by Adam Byatt. Byatt is chef consultant at bartlett mitchell. The roundtable discussion covering catering and FM strategy focussed on five key areas listed below. Catering as part of TFM can become commoditised, which means focus can be lost and is at risk of reputational implications.